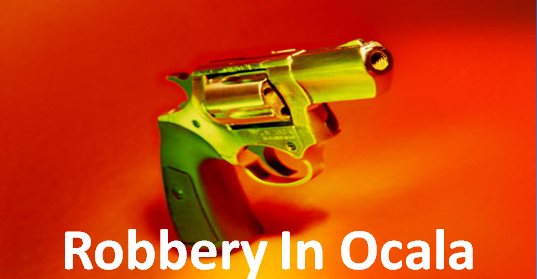 Marion County Sheriff officials need your help to catch a man who robbed an Ocala convenience store Sunday evening. According to Capt. Tom Terrell of the Marion County Sheriff’s Office, it was about 6 p.m. when a man armed with a gun and wearing a hoodie with something over his face entered the store located at 5790 NE Seventh Street and demanded money from the register. He fled the store after receiving an unknown amount of cash. A deputy at a red light was approached by the clerk at the corner of Northeast Seventh Street and Baseline road and advised of the robbery. Deputies searched the area by way of both air and k-9 units, but were unable to make an arrest. He may have entered the woods behind the store and possibly left the area in a vehicle, deputies say. If you have any information about this crime you are asked to call the Marion county Sheriff’s Office at: 352-732-9111 or Crime Stoppers at 352-368-STOP.